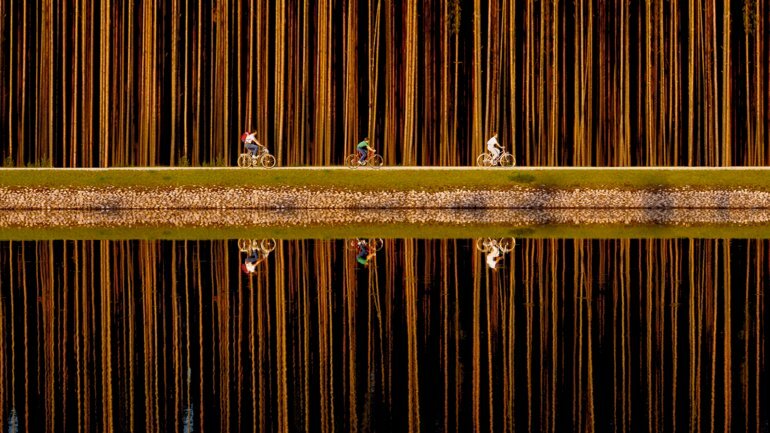 Gerd Ludwig is a documentary photographer who has travelled the world shooting for publications including National Geographic, Time, Fortune and Geo. He is the author of several books “Broken Empire-After the Fall of the USSR”, the award-winning “The Long Shadow of Chernobyl” (essay by Mikhail Gorbachev), “Minus 2/3 – The Invisible Flash” and recently “Sleeping Cars”. Gerd’s own story is fascinating, from his pathway into photography to almost passing up on every photographer’s dream opportunity… twice! His journey as a photographer specialising in socio-political and ecological issues has been filled with incredible experiences, as demonstrated by his images. How did you become interested in photography and when did you decide that was what you wanted to do for a living? I originally started studying Physical Education, Political Science & German Literature because I thought of myself going into teaching at high school or university, but I quit after 3 terms! I didn’t like it and I started to hitchhike through the world with a friend. We went to Denmark first and worked a few odd jobs here and there. As every traveller, I wanted to bring something back that captured my adventures and impressions. Usually people collect something physical, souvenirs. But when you travel for a year you can’t accumulate souvenirs, so I bought a camera and started photographing. At some point in Norway I realised that I wanted to do with my life what I had fun doing, and that was photography. What did you do to pursue your passion as a career? I returned to Germany after exactly one year of travel and because I didn’t really know enough of the technical aspects I started an internship in Photography. The internship was in a portrait studio and introduced me to the basics. A few months later I decided to apply for art schools and colleges. I printed a portfolio and hitchhiked with it through Germany, trying to get accepted into colleges. I eventually got accepted into Folkwangschule (now Folkwang University of the Arts) in the city of Essen. When I started out the magazine market was thriving. You shot a story for a magazine and were already onto the next endeavour while the story was in layout. At times, I was so busy that I needed to turn down two-thirds of the assignments I was offered! Times are different today, photographers have to be more entrepreneurial than ever before. After finishing with a university degree as photo designers, a few of us wanted to continue the cooperation we had started during our studies, and subsequently André Gelpke, Rudi Meisel and I founded VISUM, the first German photographer-owned agency. The first year was tough but we received government funding for start-ups that enabled us to survive. Soon we became so successful that one former student at Folkwang, Dirk Reinartz, who had been a staff photographer at Stern magazine actually quit Stern and joined us. How did the opportunity to work with National Geographic come about? In my early VISUM years I started working for Geo, a German magazine styled on National Geographic, photographing 6-8 week-long reportages; four stories in Russia, a story in America, one in Malta, a couple in Germany – I went pretty much all over the world. I also photographed assignments for Life and Fortune Magazine, which helped to spread my name in the US. As a result I was invited to be part of A Day in the Life of Australia, where 100 photographers portrayed a single country during a single day. It had been labelled as convening the best photographers of the world and I couldn’t believe the names when I got there: Eddie Adams, David Burnett, David Alan Harvey, Philip Jones Griffith, Sebastião Salgado, Mary Ellen Mark, Alex Webb – everybody was there! I actually went up to touch some of them, to make sure I was not dreaming. In 1984 I moved to America and started to photograph more for American magazines. I was invited to teach at the Eddie Adams workshop and, after a presentation of my own work there, the director of photography at National Geographic asked me whether I wanted to come by and show additional work to them. But I didn’t go, and it took another year and another Eddie Adams workshop for the director of photography to convince me to finally present my work to National Geographic. The truth is.... I was scared. I thought it’s nice that they asked me and that was enough. I didn’t want to hear “very nice, thank you, you’ll hear from us” and then not ever hear back from them. Besides, I was so busy anyway, plus I’d just had a child and he was only a year old. I came up with all these excuses, but the bottom line is: I was simply scared. Finally, I went and showed some work and they said “we’ll call you”. I didn’t hear from them for 3 months and as I was giving up hope, they contacted me and offered me an assignment - in Germany! I nearly turned them down… I thought “I know Germany, I don’t want to go back to shoot there!”. In addition, it was a story about the construction of the Rhine-Main-Danube canal, something that did not sound very exciting. I finally accepted it because I thought if somebody can do it, it’s me. As it played out in a rural area in Germany, I figured an American photographer would have a hard time with the stubborn Germans in that region. It became a major story in the magazine and was such a success that National Geographic immediately offered me another assignment… on German reunification. 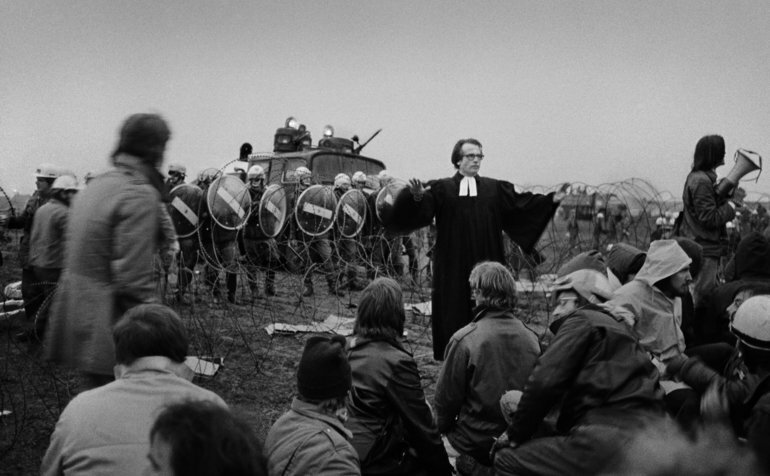 Documenting political changes has been a common theme in your work, was that always your intention? 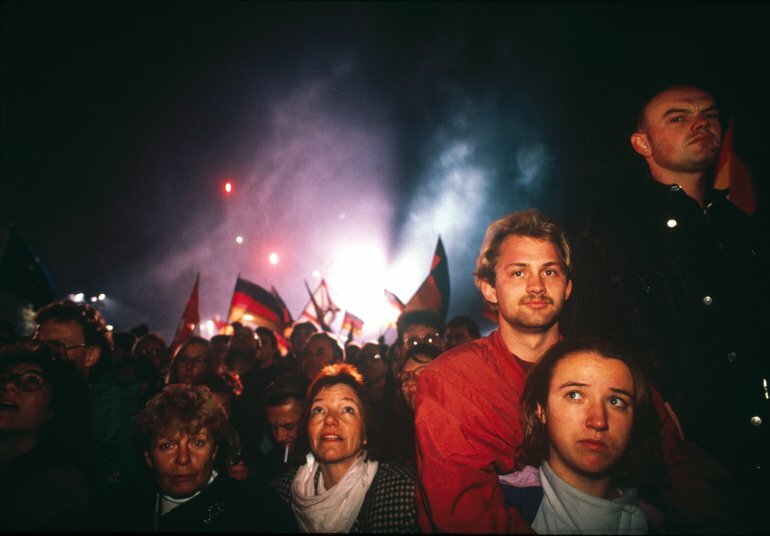 That assignment on German reunification set me on a track of documenting political and socio-economic changes. So, in 1991, NatGeo asked me to fly to Russia and check whether it was already possible to find images that speak to the changes. And they added, “We’ll send you to Moscow for a week, but you may as well take a camera with you”. The story ended up to last 7 months in the field, but it also ran over 48 pages in the magazine, plus cover and assignment page – so basically a 50-page story about a contemporary subject, which was unheard of! My connection to Russia is also deeply rooted in my family history, my father was a German soldier who saw Stalingrad. (see: gerdludwig.com/video/russian-destiny/). Your career has seen you visit Chernobyl for multiple projects, including The Long Shadow of Chernobyl. How did you first come to document Chernobyl and what has kept taking you back? After all the hardships I endured during my first assignment in the former USSR (life-threatening moonshine, freezing temperatures hotel rooms with no heat or far too much, mafia cab drivers, cold green chicken dinners and multiple arrests) my editors at National Geographic said to me, “You deserve something really nice like a story on Hawaii or something similar”, but I answered “Please, don’t punish me!”. A colleague had just finished a story on pollution in Eastern Europe, and when I mentioned that these were the subjects I was interested in, they offered me a story on pollution in the former Soviet Union. I happily agreed, of course! It was during that story I first visited Chernobyl in 1993. Besides Russia, ecology was the other issue I had always been interested in, so it was in Chernobyl where the two strains of my work were coming together. I was captivated from the first day I stepped into the Exclusion Zone. 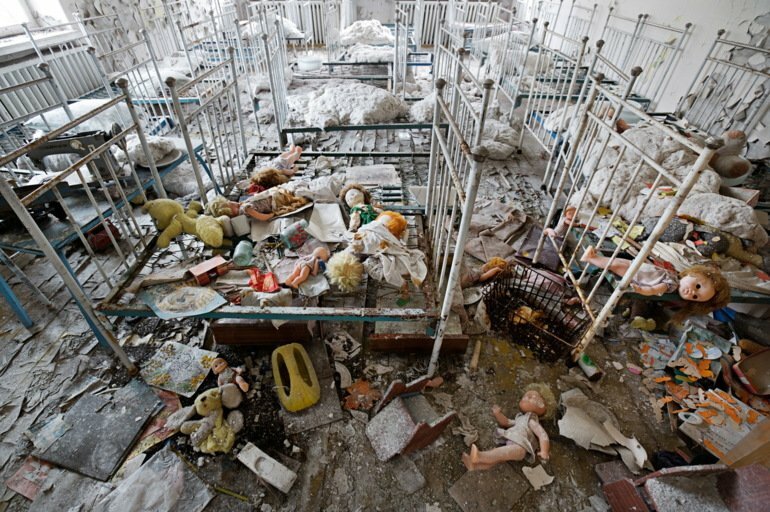 I’ve revisited Chernobyl a few times, including through my Kickstarter campaigns. The first campaign was to return to Chernobyl and the second campaign was to support the publication of the book and iPad app, The Long Shadow of Chernobyl. The first time around I had asked for $12,000 and got $23,000 and the second campaign was for $20,000 and I received $45,000. You turned to Kickstarter as the mainstream media wouldn’t support your project marking the 25th anniversary of Chernobyl. Why was that? Before the 25th anniversary of the Chernobyl catastrophe I had approached several publications for assignments, but they all argued that nuclear accidents were an occurrence from the past. So I turned to crowdfunding for support. 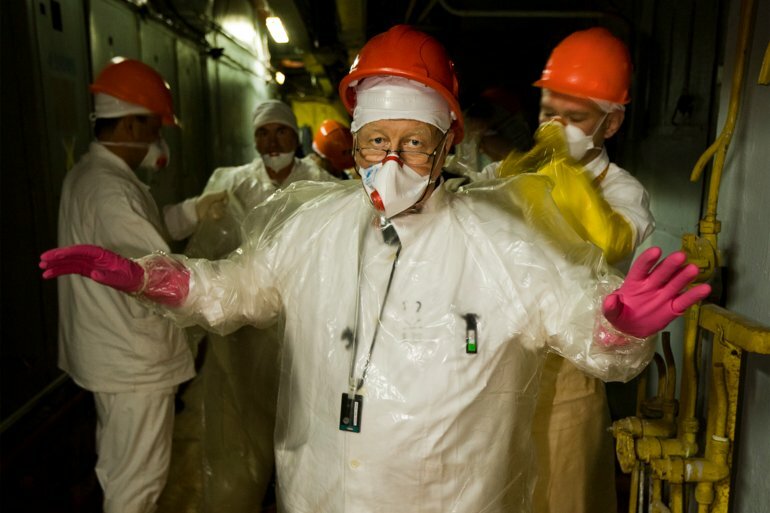 And while I was out in Chernobyl, the accident in the Fukushima Nuclear Power Plant happened. It reminded us that accidents like Chernobyl are always a possible outcome of nuclear power – anytime, anywhere. Something I had argued from the very beginning. As traditional news outlets struggle financially, many in the media have turned to celebrity reporting to make up for lost readership. But I was convinced that there is both the need and the demand for serious content. The widespread support on Kickstarter proved me right. Since then many photojournalists have turned to alternative funding methods for long-term projects close to their heart. Who donated towards your Kickstarter campaign and why was it so successful? Blogs around the globe had reported about the campaign, from Australia to South Africa, from the Philippines to Finland. Donations were coming in from everywhere. About 25-30% were from overseas, something I had not expected. 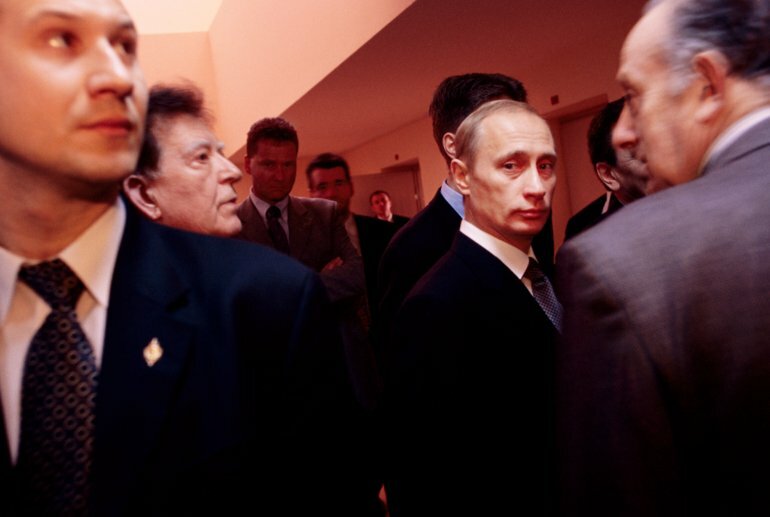 In that first campaign the most popular reward for supporters was my first book on Russia “Broken Empire”. But I had not accounted for the immense international shipping costs, over $30 to ship it overseas. After this successful campaign I gave many interviews about my lessons learned from crowdfunding – and my main advice was: don’t forget to factor in the shipping expenses for heavy items such as books. I am glad I learned my lessons early. The shipping of The Long Shadow of Chernobyl book from the USA to Australia and the Philippines are $65! Motives for people donating were very diverse. The most moving email came from an American teenage girl reaching out because she saw the campaign and was embarrassed that she had never heard of Chernobyl before. The project made her look into it and she was so thankful for being taught about it. Donations really went up when the Huffington Post reported in a blog post about the project, so people who had no connection to photography got involved. As a documentary photographer who has taken on projects surrounding very serious and saddening issues, is it difficult to feel a sense of enjoyment from your work? We use the term ‘war photographers’, but most of them consider themselves “anti-war photographers”. When I’m documenting the downsides of a society, I never look down at my subjects, I show them as victims. I’m emotionally very close to their suffering, trying to transport the viewer into their world. I want the viewer to feel the same sadness and suffering that I see and feel when I press the shutter. I want my images to be very emotional. I once coined the phrase “a great photograph touches the soul and broadens the mind” and I expect these two elements to be part of a successful photograph. When I show the suffering of people, I want to open people’s minds, eyes and souls, and be an instrument for change. It pains me to witness suffering, but I cannot close my eyes, that would not do any good. It is not the role of photography to only elevate our sense of beauty. On the other hand, in my photographs I thrive for a perfection in composition, a certain beauty, if you want to call it so. This is an instrument to lead people into looking at my images. Technique is the grammar of photography and syntax is the equivalent to composition in photography – both aspects are necessary in order to attract the viewers’ attention. Just like great authors describing the horrors of war do not stumble and stutter. Some people say, “as a photographer you can shield yourself from the situation with your camera”. No. As photographer I must never use my camera as a shield! I have to feel first and then put that feeling via the camera into the image, into the frame. That makes me a better photographer. If I shield myself from the emotions around me and if I don’t allow myself to feel, my images will not be compassionate, they will not be able to trigger the full range of emotions like joy, fear, excitement, sadness, compassion. The camera may help me to deal with painful emotions, because I can allow myself to momentarily store those away and work through troubling circumstances. But I cannot put the camera between what is out there and my inner self. I have to feel first, in order to be able to convey my feelings through my photographs. You’re part of a collective of photographers called The Photo Society. What is the group's mission? After the National Geographic Society was founded in 1888, their membership journal, the National Geographic magazine, did not include photographs. That changed only in 1905. At that point a good number of members left the Society in protest, but in the end it was its photography that can be credited for the magazine’s global success. When I started to work for them, each issue included large ‘on-assignment’ photographs, where National Geographic contributors were shown working in the field. The magazine really supported and purported the idea of the individual photographer being the ’lone wolf’ or braving the elements, but that has vanished from the magazine. So the National Geographic photographers banded together in an attempt to bring that back with our website. It is more image orientated and directed towards that mystique of the individual photographer. The website was the brainchild of Randy Olsson. His brilliant idea sky rocketed and led to the founding of the TPS - The PhotoSociety. We are an exclusive group, only those photographers who have had a full story published in the American edition of National Geographic can become members, currently we are about 140. The first thing that put us out there was a small section called ‘Reality Check’. It’s all about the diseases, accidents and mishaps the TPS photographers had to put up with in the field – some of it is pretty odd, even funny, and it got huge attention on the internet. Five years later we have 4.7 million Instagram followers. To find out more about Gerd Ludwig and to see more of his inspiring images, you can follow him here on Instagram. If you enjoyed this interview, subscribe to the blog for more stories with world renowned photographers!